Retractable badge reels allow your ID, timecard or key to be instantly accessible when you need it. Badge Reels attach to your belt or clothing giving you extended reach for easy use. 36" retractable cord. 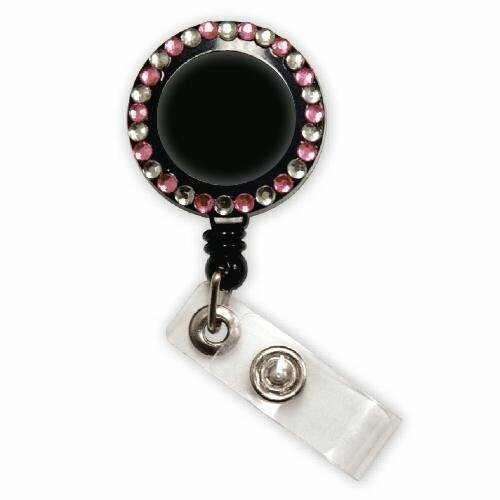 Retractable badge reels comes in a black plastic with white and pink rhinestones around the border.